Many patients are understandably worried about the cost of an IVF treatment cycle , because it's so expensive. Its tempting to cut corners and go to the cheapest clinic ; or the one closest to you, even if it doesnt have much experience or expertise. 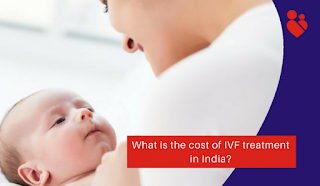 However, the risk of your IVF cycle failing is much higher in these clinics, and if your IVF cycle fails, you will actually end up spending much more ! Not only will you have wasted your money on your first cycle, you will have to pay more for a second cycle and you'll have wasted a lot of precious time and energy as well. Even worse, you may abandon the idea of IVF treatment altogether, because your confidence levels - both in yourself as well as in IVF doctors - will go down considerably. That's why you need to consider the total lifecycle cost of doing IVF treatment - the total cost you will have to pay in order to have a baby. This may require multiple cycles, and you need to factor in the money you spend; your emotional energy; and the time as well, because the longer you wait to have a baby, the older you're going to be, and the less you're going to be able to enjoy being a parent ! and this will help you reduce your risk of IVF failure !